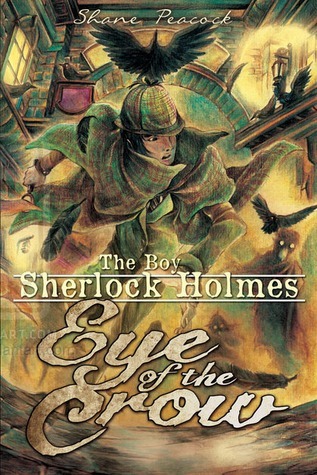 Shane Peacock's first novel in his "The Boy Sherlock Holmes" series. The impressive cover art below is from an international edition. Sherlock Holmes, just 13, is a misfit. Friendless, bullied at school, he belongs nowhere and has only his wits. But what wits they are! His keen powers of observation are already apparent, though he is still a boy. He loves to amuse himself by constructing histories from the smallest detail for everyone he meets. Partly for fun, he focuses his attention on a sensational murder to see if he can solve it. But his game turns deadly serious when he finds himself the accused - and in London, they hang boys of 13.